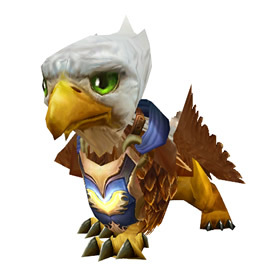 This shares the same model of Beak, the little gryphon you have to find in Finding Beak. This at least helps to give you an idea. 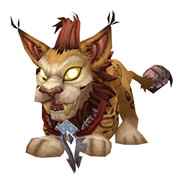 A copy of this pet is available through pet battles now: Wildhammer Gryphon Hatchling. As of December 2017, this toy and the similar Wind Rider Cub appear to no longer be sold in the Blizzard store. No word yet on whether either will reappear, so unfortunately these pets might be unobtainable for the forseeable future.